The Democratic Republic of the Congo’s influential Roman Catholic Church called on authorities to quell the mounting public anger over the presidential vote outcome and announce the results, claiming it knew who had won the election. However, the church did not say which candidate had won. It called on election overseers “to publish the election results in keeping with truth and justice”. 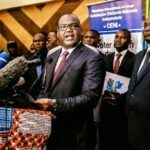 The remarks came after the head of the country’s electoral commission said it may have to postpone publication of provisional results from the December 30 election, which are due on Sunday. “We are working around the clock. We are doing our best to publish the results on January 6. But if we can’t, we can’t,” said Corneille Nangaa, head of the Independent National Election Commission (CENI). The elections, held on December 30 after repeated delays, will determine who succeeds President Joseph Kabila, who has been at the helm of sub-Saharan Africa’s biggest country for nearly 18 years. Tensions have risen over the marathon counting process with opposition fears running high that the result will be rigged to favour Kabila’s preferred successor Emmanuel Ramazani Shadary. CENI had pledged to issue provisional results by January 6, a timetable confirmed by the commission on Tuesday. Definitive results are due out on January 15, with the new president to be sworn in three days later. Compiling the votes by hand was the biggest hurdle, Nangaa said. Each electoral area is responsible for counting its own votes, then sending a report on the tally along with the actual ballots cast to a “result centralisation” centre which compiles all the data. But the road network is notoriously poor in DR Congo, a vast country that is the size of continental Western Europe. The opposition says the delay is a sign of fraud. Regional observers have said the vote went relatively well given the organisational challenges. Domestic monitors, however, have raised concerns about potential irregularities. More than one million Congolese in opposition strongholds were barred from voting after the electoral commission cancelled the polls there, citing an Ebola outbreak, the second-deadliest in history, and ethnic violence. Within hours of clearing the first hurdle of potential violence on polling day, the first candidates began declaring victory and voicing allegations of fraud. As tensions escalated, the authorities cut off internet access and blocked broadcasts by FRANCE 24’s sister radio station RFI, which has a huge following in DRC, withdrawing its correspondent’s accreditation. It has accused RFI of fanning controversy by “declaring results [and] trends” — an allegation the broadcaster denies. Respect for the freedom of the press and the freedom of expression was “a key element in guaranteeing the transparency and credibility of the ongoing electoral process” in DR Congo, a foreign ministry spokesman said. But Kinshasa appeared unbowed by the rebuke, issuing another warning to the foreign press on Thursday. 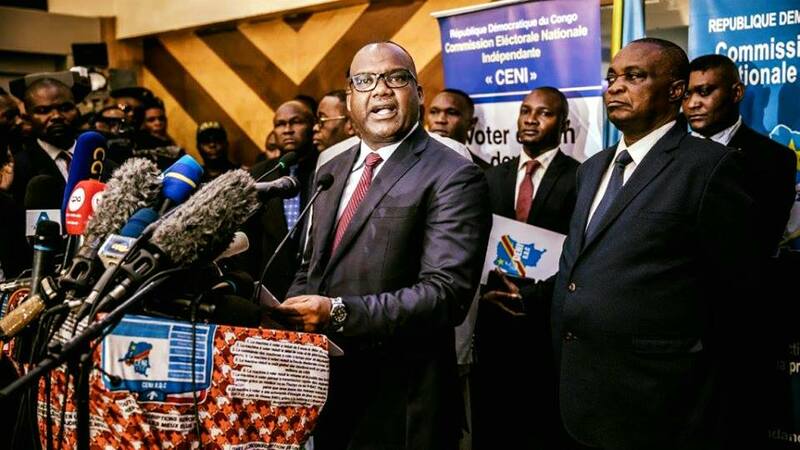 “Only CENI is empowered to announce and publish the voting results,” warned Communications Minister Lambert Mende, who is also Shadary’s spokesman. DR Congo has never known a peaceful handover of power since it gained independence from Belgium in 1960 and fear is mounting that there will be renewed bloodshed if the results lack credibility.